Become a ‘Fendi Man’ this season with Karl Lagerfeld’s latest footwear collection. By incorporating bold and playful designs that capture the eccentric and trendsetting charm of the maison, you will surely steal the spotlight. 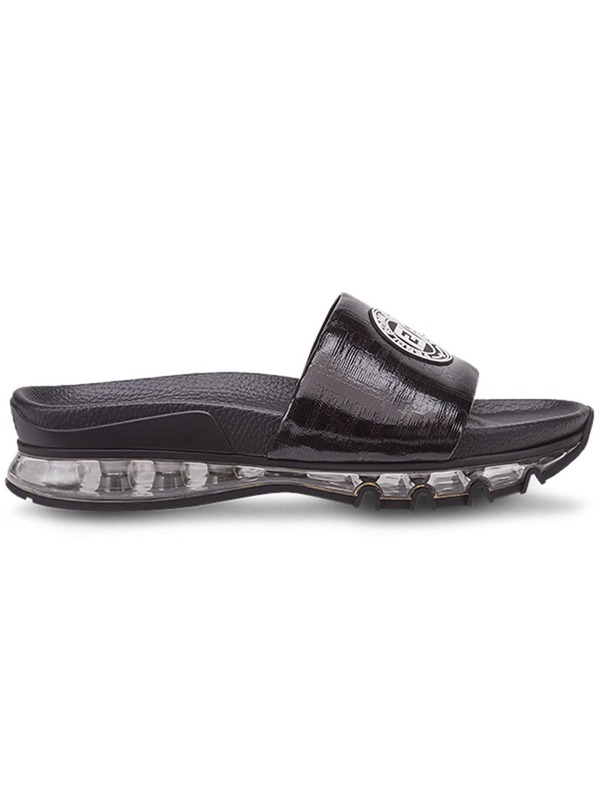 Carefully constructed in Italy from soft lamb skin, these black logo patch sandals from Fendi sit on a cushioned air sole and present a slip-on style, a branded insole, a logo patch to the front and an open toe.